Cut is a film that traces the intellectual journey of a man struggling to come to terms with his Jewish identity in the 21st century. Through the lens of circumcision, a central and ancient Jewish ritual, Cut asks the viewer to contemplate what happens when the Jewish tradition collides with the modern values of autonomy and individuality. 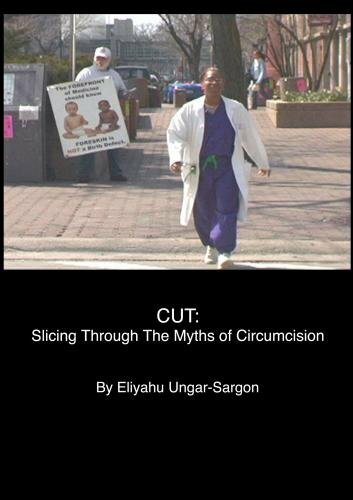 Using the latest in scientific research, as well as conversations with rabbis, historians, and activists, Cut asks difficult questions about male circumcision and provides a rare emotional and intellectual experience. The filmmaker offered the following statement about Cut: "My intention with this film was to educate, enlighten, entertain, and ultimately raise the level of discourse on an important, but rarely discussed topic. A large part of Cut is spent debunking the common myths that people have about circumcision. But the film is really about what happens when different values systems come into conflict. What happens when one's religious tradition tells one to do something that is ethically problematic? The emotional core of Cut is the evolving relationship that I had with my father over the 18 months that it took to make the film. But Cut is also a call for religious moderates to stand up and resist the trend of abdicating their religious traditions to the fundamentalists of the world." If you have any questions about this product by White Letter Productions, LLC, contact us by completing and submitting the form below. If you are looking for a specif part number, please include it with your message.